With Thanksgiving right around the corner, the time is now to make sure that your Whirlpool oven is still working. Nothing can ruin your holiday faster than turning on your oven, turkey in-hand, only to see a strange set of letters and number staring back at you. You would think that with today’s technology, appliance manufacturers would be able to spell out exactly what’s wrong, but I guess we’re not quite there yet. 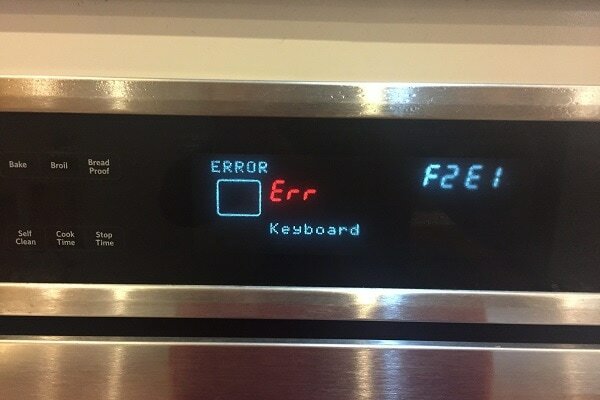 Today we’re still left wondering what these Whirlpool oven error codes actually mean. Fear not though! Greenville Appliance Repair is here to save the day and help you decipher the most common Whirlpool oven error codes. Don’t wait until the last minute! Make sure your unit is ready for the next big family dinner by learning more about these codes and what might be causing the issue. What Do Whirlpool Oven Error Codes Mean? At first glance, it may seem like Whirlpool oven error codes are just random letters and numbers. Actually, each code represents a specific malfunction, breakdown, or defective part in the unit. Some error codes can be caused by more than one issue, but our guide below covers most Whirlpool oven common problems. Beware though, not all fault code issues can be easily fixed by a novice. Some problems are best left to the professionals for safety’s sake. For more difficult or complex repairs, call the experts at Greenville Appliance Repair and let us get your oven back to work fast! There is a control-related part failure, stuck or defective keypad. First, disconnect the power to the oven by turning off the circuit breaker(s) or fuse(s) for at least one minute. While the oven is off, inspect and resecure the connections to all electronic components including the main board, control panel, and keypad. Restore power to the oven and press Cancel. If the error code comes back after 60 seconds, replace the keypad, but if the problem continues, you’ll have to replace the main control board. Oven temperature sensor has failed. Disconnect power to the oven. Check the temperature sensor and its wire harness to ensure that none of the connections are loose or damaged. Replace either part if damaged. If not physically damaged, use an ohmmeter to test the resistance of the sensor. If the reading doesn’t show 1080ohms at room temperature, replace the sensor. If the reading is good and all other connections are secure, replace the main control board. Your oven shouldn’t ever reach above 575° F in Bake mode or over 950° F in Clean mode. If it does, your unit will give one of the error codes above. Follow the same process described above for Oven Temperature Sensor Issues and inspect all connections between the sensor, control board, and wire harnesses. If all connections are secure and parts are not visibly damaged, replace either the board or sensor as needed. Check the door switch by using the oven’s interior light. Open and close the door to see if the light turns on when open. If the light doesn’t come on with the door open, replace the switch. Next, disconnect the power and check for any loose connections between the door lock assembly and its wire harness. If all wires are secure and nothing appears to be physically damaged, replace the door lock. Keeping your oven clean is the best preventative action you can take though when it comes to avoiding unnecessary repairs. Learn more now about how to keep your oven clean, and be careful when working on your oven yourself. Not all Whirlpool oven error codes have a simple DIY solution. 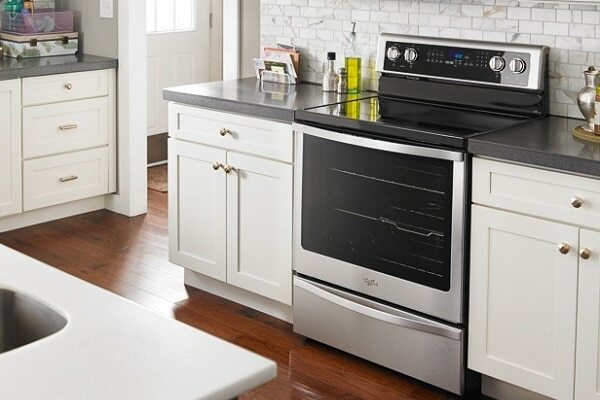 Most Whirlpool oven common problems will have to be diagnosed and repaired by a professional, so call Greenville Appliance Repair today and leave it to the pros!